WALTON, Ind. – As Lewis Cass students settle back into their class schedules this week, roughly 65 of the young men are spending their time after school wearing pads and helmets. 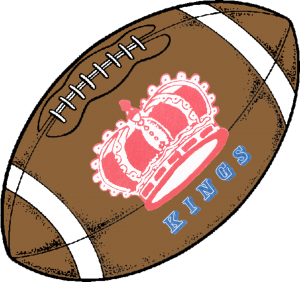 The Lewis Cass Kings are looking to build on a mediocre 5-5 campaign from last season. Among those returning to their second year in the starting lineup are seniors Hunter Clark at linebacker, James Champ on the defensive line, Owen Ohman at quarterback and Leland Bowling at punter. Junior Conner Zeck, a defensive back, is moving from safety to cornerback. While they have several key players back, younger players will need to step up to take the places of quality starters from last year. This seems to be the case every year in a high school system; seniors graduate and underclassmen come of age and take on bigger roles on the team. Key projected starters on defense include Blaine Elliot, Shadd McLochlin and Cameron Rinehart on the defensive line. They join previous starter Champ to form a solid defensive front with a unique blend of size, strength and speed. On offense, the Kings have a whole new set of weapons to replace the effective offense that Cass had last year. Jake Wilburn is the new starter at fullback while Bowling, Hunter Clark and Champ provide a great rotation of fresh legs at wing back. The offensive line is stacked with senior firepower with Seth Slusser, Rinehart, Noah Byers and Sam Martin. This year the Kings have been chosen to play one of their conference games at Lucas Oil Stadium on Saturday, Aug. 23 at noon. This marks the third time the Kings have played in this stadium. The first game was a close loss to the Heritage Eagles in the 2008 2A state championship game. The Kings open up their season with a nonconference opponent, Pioneer. The Kings have played the Panthers to open the season for the past 10 years or so. Cass throttled the Panthers 29-0 last year and that was the biggest margin of victory by either team in the series between the county rivals. Pioneer, unlike Cass, returns most of their team from last year. Their starting lineup is dominated by juniors where as the majority of Cass’s starters are seniors. This game will start a two-week home stand for the Kings before they head off the Lucas Oil to take on the Northwestern Tigers. Lewis Cass has high hopes this year; the senior class is very stout and when playing together as the highest ranking class, hasn’t lost a game since early their seventh grade year. The Kings’ are primed and ready for the season that lies ahead.